Kansas City PBS’ community engagement work around The Vietnam War series and the 50th anniversary of Mister Rogers’ Neighborhood were recognized Monday night, January 21, at the NETA Awards, which celebrate public media’s achievements in instructional media, community engagement, promotion, and general audience content. KCPT’s Mister Rogers Kindness Crawl, a kindness scavenger hunt which the station hosted last March to commemorate the 50th anniversary of Mister Rogers’ Neighborhood, won in the Special Event category. The station’s extensive efforts around Ken Burns and Lynn Novick’s The Vietnam War documentary series won the Community Engagement Based on a National Initiative category. The NETA Awards are an annual recognition of public broadcasting’s finest work, a tradition established in the 1960s by NETA’s precursor, the pioneering Southern Educational Communications Association. NETA is a professional association organized in 1997 to serve and support public television licensees and affiliated educational organizations. The organization has 101 member stations, representing 107 noncommercial educational licensees in 46 states, the District of Columbia, and the Virgin Islands. 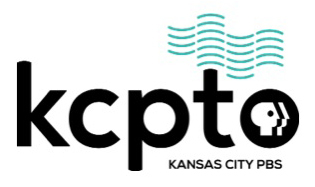 KCPT believes in the power of media on every platform and seeks to use that power to enrich, engage and entertain our viewers both on-air and online. We strive to advance conversations through community engagement and social media; explore complicated issues facing our region with ongoing reporting, investigative reports and informed discussions; and share the stories of people, places, and progress in our community.